2010 TVB Sales Presentation Booklet has been released now. TVB Sales Presentation's purpose is to introduce new series for the upcoming year. This year Bosco Wong and Fala Chen both have 4 upcoming series, making them the winning artistes of most series. Fala will join the cast for , receiving strong support from TVB. Gold Medalist gymnast Liu Xuan (劉璇) enters the entertainment circle, joining John Chiang in new series (女拳). After Charmaine Sheh and Moses Chan continues with their new ancient drama (公主嫁到). This time, Charmaine plays the 3rd Princess who will marry the 4th Prince of gold manufacturing company played by Moses. Liza Wang will be working with Christine Ng and Joe Ma (秋決). 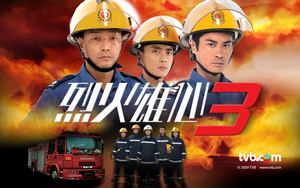 As for the sequel (法證先鋒III), it was seen on the sales presentation poster that there is only Kevin Cheng, Raymond Cho and Mandy Cho, no sign of Bobby Au Yeung or Yoyo Mung. However, the synopsis did mention the two of them, Bobby's character will be suspected to have murdered Yoyo. It is not known if the series will actual film or if the two artistes will be participating. 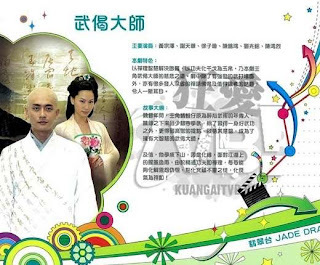 As for last year's TV King, Ha Yu, there are no series that include him in the sales presentation. On the variety shows side, Eric Tsang will be hosting for (世界遊戲王). Sandra Ng will continue to host for the (星星同學會至尊版). New TVB show will be welcoming Hong Kong artistes playing different legends, such as Madonna who will be played by Liza Wang, while Michael Jackson will be played by Joey Yung. TVB also plans to broadcast MJ's music documentary movie next year. Here are the magazine scans from the 2010 TVB Sales Presentation Booklet. Cast: Michael Miu, Felix Wong, Jessica Hsuan, Nancy Wu, Vincent Wong, Kenny Wong, and Stephen Huynh.